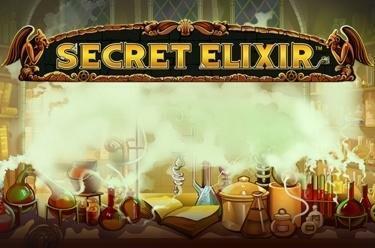 Play Secret Elixir™ online for free now! It’s all about the magic with Secret Elixir™ because this slot machine is about nothing less than to discover the Philosopher's Stone! Find together with our Alchemist the all important formula that helps you to turn many symbols into countless golden Twists! 5 reels, 10 lines and a lot of win-multipliers form the basis for your luck! The Alchemist will help you in your experiments by substituting all symbols except for the Scatter symbol. Your goal is to land 4 identical, consecutive symbols (on reels 1 to 4) and a multiplier (on reel 5) along a win line. Every win line begins on the left and runs along the pay line to the right. If a multiplier lands on the same line as a winning combination, your winnings will be multiplied accordingly. 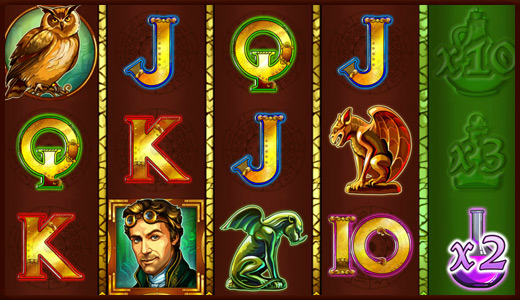 3 or more Scatter Symbols (Philosopher's Stone) trigger 12 Free Spins with an extra multiplier. In the Free Spins all positions of the fifth reel are assigned a multiplier - each win is increased up to 20-fold. All Free Spins are played with the settings of your last regular game.